EPA posts technical reviewer comments on methane “white papers” . . . IRS expands eligibility of renewable projects for PTC and ITC . . . Southern Company and Sierra Club reach settlement on Kemper CCS project . . . Dozen states challenge 111(d) Clean Power Plan rule by means of challenge to 2010 EPA legal settlement with environmental groups . . . CEQ says it does not need to revise NEPA regulations in order to address climate change in environmental reviews. IRS Guidance Expands Scope of Renewables Projects Eligible for Tax Credits. On August 8, the Internal Revenue Service (IRS) issued guidance expanding the eligibility of renewable energy facilities for the production tax credit (PTC) and the energy investment tax credit (ITC). Previously, Congress enacted law providing that a facility could be eligible for such credits if construction of the facility began before January 1, 2014. Prior IRS guidance outlined two methods to determine when construction has begun: (1) a demonstration that a certain amount of “physical work” of a “significant nature” has commenced (also known as the “Physical Work” test); or (2) that five percent or more of the total cost of the facility was paid or incurred before January 1 (also known as the “Safe Harbor” test). The August 8 guidance, Notice 2014-46, further clarifies the application of these tests. The guidance provides examples of the kind of work that is of a “significant nature” and therefore is sufficient to meet the “Physical Work” test. The guidance also further clarifies that even in situations in which the entirety of a project does not meet the five percent safe harbor, the taxpayer could still satisfy the “safe harbor” test for individual facilities comprising the project if the taxpayer has paid or incurred at least three percent of the total cost of the project and the total project cost is not greater than twenty times the amount the taxpayer paid or incurred before January 1, 2014. Finally, the guidance describes how the project’s eligibility can be sustained even if it is transferred to the taxpayer from an unrelated developer. The guidance is available here: http://www.irs.gov/pub/irs-drop/n-14-46.pdf. EPA Posts Comments on Methane “White Papers.” EPA has posted on the agency’s website comments by technical peer reviewers on a series of “white papers” that EPA issued in April on sources of methane emissions in the oil and natural gas sector. The original five white papers represented the agency’s efforts to capture the state of understanding of particular sources of methane emissions, and available means of controlling those emissions. EPA invited a set of technical reviewers to review the papers and provide comment. The agency also invited general public comments. The white papers cover emissions from compressors, hydraulically fractured oil wells, liquids unloading, leaks, and pneumatic devices. The technical reviewers included some representatives of companies, including XTO Energy, Southwestern Energy, and TransCanada. Representatives from the Environmental Defense Fund also served as technical reviewers. The white papers and technical reviewer responses are available here: http://www.epa.gov/airquality/oilandgas/whitepapers.html. EPA is in the process of loading comments received from the public at the following docket: www.regulations.gov, docket ID # EPA-HQ-OAR-2014-0557. CEQ: Revisions to NEPA Regulations not Necessary to Address Climate. On August 7, the White House Council on Environmental Quality (CEQ) rejected a 2008 petition from environmental organizations requesting that it revise National Environmental Policy Act (NEPA) regulations to prescribe how federal agencies should evaluate climate change impacts in environmental analyses. In rejecting the petition, the CEQ asserted that such revisions are not necessary because it is already working with federal agencies on such analyses, including under previously-issued draft guidance. EPA Extends 2013 RFS Compliance Obligations. Again pointing to its delay in finalizing the 2014 Renewable Fuel Standard, EPA has simultaneously issued a direct final rule and a proposed rule to extend the deadline for compliance with the 2013 RFS to 30 days after the issuance of the 2014 RFS final rule. The direct final rule approach allows EPA to change the deadline without requiring notice and comment so long as no party submits significant adverse comments. This is the third extension for the 2013 RFS that EPA has issued. EPA has not indicated when the 2014 RFS final rule is expected. The direct final rule is available at http://www.gpo.gov/fdsys/pkg/FR-2014-08-08/pdf/2014-18568.pdf. FERC and DOE issue Approvals for LNG Export Projects. Freeport LNG. On July 30, the Federal Energy Regulatory Commission (FERC)—the agency with responsibility for approving liquefaction facility and LNG terminal siting, construction and operations—has given the go-ahead to the Freeport LNG export terminal in Freeport, Texas. FERC approval includes over 80 conditions to mitigate potential adverse environmental impacts. 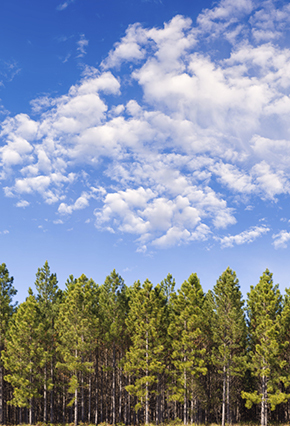 FERC issued a final Environmental Impact Statement in June. The Commission rejected calls by environmental advocates to consider the upstream environmental impacts of natural gas export, including effects of increased gas production. The Department of Energy (DOE), which has responsibility for authorizing the import and export of natural gas, had already approved the Freeport Facility’s permit to export LNG to countries with which the United States does not a Free Trade Agreement. DOE’s May 2013 export approval was conditioned on FERC approval, and DOE expanded the amount of exports allowed by 29% in November. FERC’s approval decision is available at http://www.ferc.gov/CalendarFiles/20140730193435-CP12-509-000.pdf. Oregon LNG. The following day, the DOE issued a conditional LNG export permit for up to 1.25 billion cubic feet (bcf) per day over 20 years from the proposed Leucadia National Corp $6 billion Oregon LNG project in Clatsop County Oregon. DOE’s conditional approval is available at http://energy.gov/sites/prod/files/2014/07/f18/ord3465.pdf. For a more in-depth analysis of the natural gas export permitting process, see the March 22, 2013 VNF Alert at http://www.vnf.com/1104. DOE Funds 13 Carbon Sequestration Projects. The DOE Office of Fossil Energy’s National Energy Technology Laboratory (NETL) announced funding for 13 projects aimed at developing new technologies and approaches for geologic sequestration of industrially generated CO2. In total, DOE will provide $13.8 million of support over 3 years, with non-federal cost sharing adding an additional $3.8 million. Awards were primarily made to research universities across 10 states and focus on “geomechanical research” and “fractured reservoir and seal behavior.” DOE’s funding announcement and project descriptions are available at http://www.netl.doe.gov/newsroom/news-releases/news-details?id=84ea18f9-58d7-4339-b08a-78eaaf71a215. EPA Allows California to Set GHG Standards for Heavy Duty Truck Trailers. EPA has granted a request by California to issue its own greenhouse gas standards for heavy-duty truck trailers. While the Clean Air Act generally prohibits states from establishing their own vehicle standards, section 209 allows California to apply for a waiver of this rule. EPA evaluates this application and is directed to issue a waiver so long as the California standards will be at least as protective of public health; the waiver is needed to meet “compelling and extraordinary conditions” in the state; and the California standards and enforcement are consistent with certain EPA regulatory authority. Section 177 allows other states to adopt California vehicle standards in lieu of federal standards. California requested a waiver to implement its own standards for certain model year 2011 and later heavy-duty truck trailers in June 2013. While commenters objected that the section 209 waiver authority does not apply to trailers, EPA rejected these arguments and interpreted section 209 to include standards for trailers. EPA’s notice granting California’s waiver request is available at http://www.gpo.gov/fdsys/pkg/FR-2014-08-07/pdf/2014-18742.pdf. Environmentalists Petition D.C. Circuit to Review EPA’s Final Rule Implementing PM2.5 Standards. On July 31, a group of environmental organizations filed a petition with the U.S. Court of Appeals for the District of Columbia Circuit (D.C. Circuit) asking the court to review EPA’s final rule for implementing the 1997 and 2006 National Ambient Air Quality Standards (NAAQS) for fine particulate matter (PM2.5) (79 Fed. Reg. 31,566 (June 2, 2014)). WildEarth Guardians v. EPA, No., 14-01145. EPA released the June 2 final rule after a 2013 D.C. Circuit decision found that EPA incorrectly promulgated the standards under the general (and less stringent) provisions of subpart 1, part D, title I of the CAA, instead of under the provisions specific to particulate matter nonattainment areas found in subpart D. After re-promulgating the standards under the correct CAA provisions, EPA reclassified all areas that do not meet the standards as “moderate” nonattainment areas and gave states six years to comply with the more stringent PM2.5 standards. The states have until December 31 to submit their state implementation plans (SIPs) to bring their nonattainment areas into compliance or revise their existing SIPs to meet the new standards. In the petition filed on July 31, the environmental organizations ask the court to find that EPA erred in resetting the clock for states, arguing that the D.C. Circuit’s 2013 decision did not allow EPA to give states additional time to develop or revise SIPs to address nonattainment areas and as a result, the petition alleges, several states are now late in submitting their PM2.5 implementation plans. Dozen States Petition D.C. Circuit to Overturn EPA Settlement Agreement on Power Plant Greenhouse Gas Rules. In 2010, EPA entered into a settlement agreement with several states and environmental groups in which the agency agreed to issue carbon dioxide emission standards for existing power plants under section 111(d) of the CAA. The agency released the 111(d) standards in a notice of proposed rulemaking on June 2, 2014. See a VNF Alert here: http://www.vnf.com/2929. On August 1, twelve (different) states filed a petition with the D.C. Circuit asking the court to invalidate the 2010 settlement agreement, arguing that Supreme Court precedent prevents EPA from regulating existing sources under section 111(d) if the agency already regulates them under section 112 of the CAA. West Virginia v. EPA, No., 14-1146. In their petition, the states cite to the 2011 U.S. Supreme Court decision, American Electric Power v. Connecticut, 131 S. Ct. 2527, in which the Court stated in a footnote that “EPA may not employ §7411(d) if existing stationary sources of the pollutant in question are regulated under the national ambient air quality standard program, §§7408-7410, or the ‘hazardous air pollutants' program, §7412.” EPA began regulating existing power plants under section 112 when it promulgated the Mercury and Air Toxics Standards rule on Feb. 16, 2012. Several of the same twelve states also previously filed a lawsuit asking the D.C. Circuit to invalidate the June 2 proposed rule. In re Murray Energy Corp., No. 14-1112 (June 26, 2014). Power Company Enters Into Settlement Agreement with Sierra Club. On August 4, the Mississippi Power Company, a utility owned by Southern Company, announced that it has entered into a settlement agreement with the Sierra Club in which Mississippi Power will convert several coal units to natural gas; retire, upgrade or convert two natural gas units to non-fossil fuel alternatives by 2018; and provide $15 million for new energy efficiency and renewable projects within the state. In exchange, the Sierra Club has agreed to file motions to dismiss its several legal challenges and regulatory appeals against Mississippi Power’s Kemper coal gasification plant. Sierra Club also agreed not to bring any new legal action against Kemper for three years. The Kemper facility is expected to be operational by mid-2015 and will be the first commercial-scale power plant in the United States to combine carbon capture and combustion technologies with coal gasification processes. Ninth Circuit Rejects EPA Grandfathering of Permit Requirements for Power Plant. In a decision issued August 12, the U.S. Court of Appeals for the Ninth Circuit (Ninth Circuit) held that EPA does not have authority under the Clean Air Act to “grandfather” the permitting requirements for an emissions source if the agency has unreasonably delayed acting on the source’s permit application. Sierra Club v. EPA, No. 11-73356 (Aug. 12, 2014). The case concerned the agency’s issuance of a Prevention of Significant Deterioration (PSD) permit for the Avenal Energy Project, a 600 MW natural gas-fired power plant. Avenal had submitted its permit application in 2008. EPA failed to meet a statutory duty under the Clean Air Act to either grant or deny the application within one year. After the deadline passed, EPA tightened the applicable National Ambient Air Quality Standards (NAAQS) and Best Available Control Technology (BACT) requirements, including by adding requirements related to greenhouse gas emissions. Avenal filed suit to compel EPA to act on the permit application. EPA eventually issued the permit in 2011, and required the Avenal plant to meet only those NAAQS and BACT requirements that were in effect during the earlier period in which the agency was required to act on the permit. The agency argued that it possesses inherent “grandfathering” authority in situations in which the statutory mandate to enforce current standards and the statutory mandate to act on permit applications within a year come into conflict. The Ninth Circuit disagreed, holding that “[n]othing in the statute precludes EPA form enforcing current NAAQS and BACT requirements even if it unreasonably delays taking action on a Permit.” The Ninth Circuit vacated the decision to issue the permit and remanded the proceedings to the District Court. Note that the Update is not covering Legislative Branch developments due to the Congressional recess.